Our warm weather disappeared. How disappointing. So to lift my spirits, I dug around in the basement for something bigger and red. Nothing like a bottle of Zin, my first red wine love, to brighten and warm up a day. 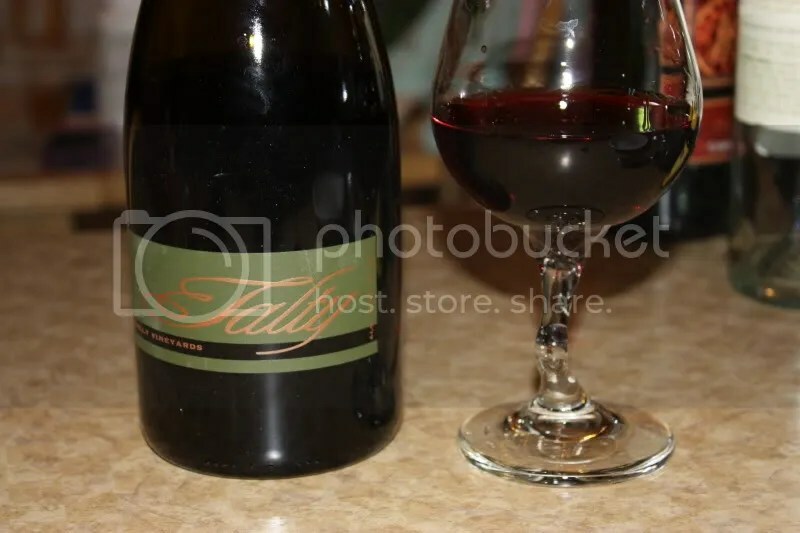 Tonight I chose the 2007 Talty Filice Connolly Vineyards Zinfandel, which we picked up on our last trip out to Sonoma (the vineyard is in Napa though) in 2010. I paid around $35ish for this bottle, it has a real cork closure, and clocks in at 14.5% alcohol by volume. 1.) This bottle reminded me why I need to explore more Zins from Napa. I stick to Sonoma mostly, but Napa has many good offerings as well. 2.) 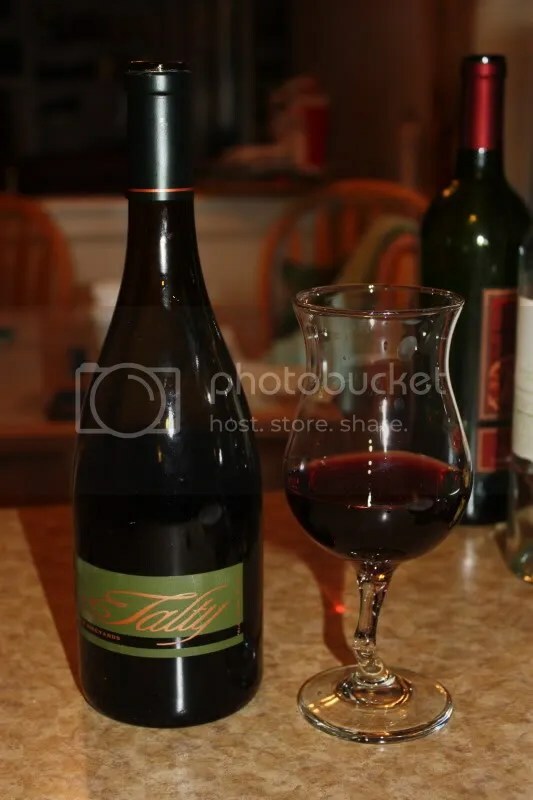 Talty is a winery I’ll be keeping my eye on. Perhaps another visit next week is in order! 3.) There’s just something about your first (wine) love. 4.) This wine had all the black fruit and spice that made me head over heels for Zin in the first place, plus a nice hit of chocolate. On the nose I found blackberry, black plum, spice, chocolate, black currants, black cherry, and cedar chest. In the mouth I got black cherry, black currant, spices, pepper, chocolate, and other black fruit. Plenty of tannins on the finish made me think this could mellow in the basement for quite a bit longer. I have another bottle that I will let rest down there for another year or so.